Whenever someone tells me they have just cycled the well-known but completely over-rated Col de la Faucille, I obnoxiously ask them if they realise there are nearby climbs that are higher, more scenic, and aren’t filled with fast traffic/trucks. The road to La Dôle and La Barillette is a great nearby example (La Baudichonne is another). It’s one of my favourites. By my count, it’s the 3rd highest paved road in the Jura mountains (1522 metres). It’s a fabulous climb on steep forest roads usually completely traffic-free. 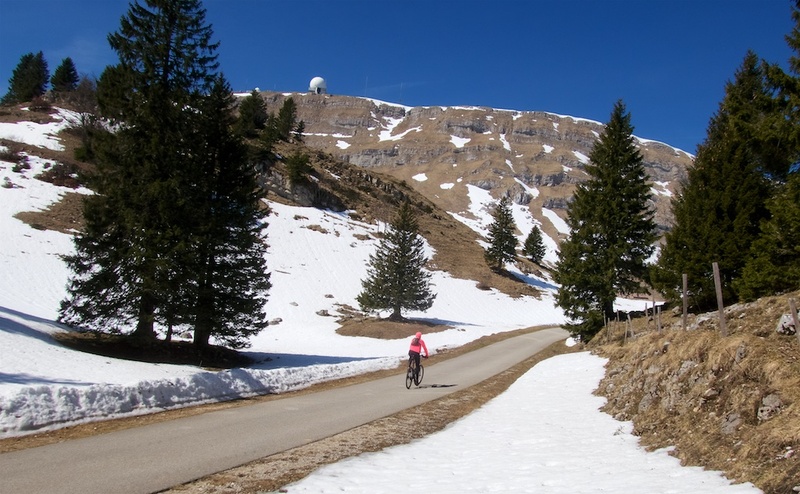 See here for the ten highest paved climbs in the Jura mountains. It’s a good road surface throughout and had been recently cleaned of winter debris. 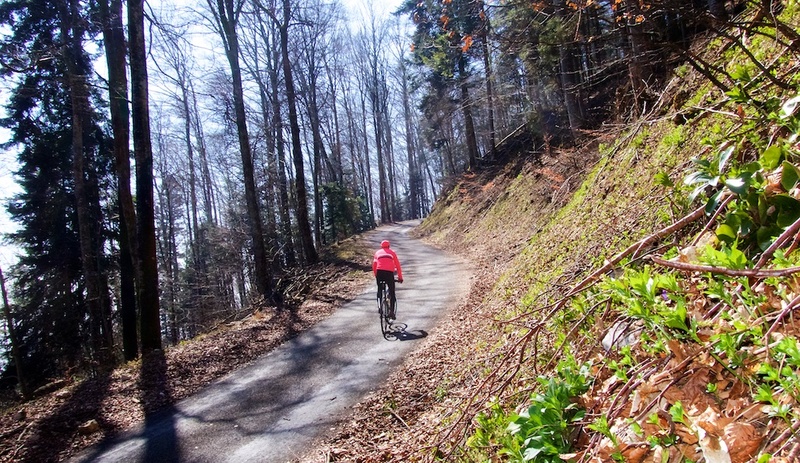 There are unpaved forest roads everywhere here – I need to explore on a mountain bike – and much of the climb is on a one-way route as most of the descent is its own one-way road. Nearing the top is the turn off to La Dôle, a mountain peak. This quickly ends at a chalet that sometimes is open for snacks in summer. High above, on the summit, is a big white ball – an aeroplane radar station. See photo below. 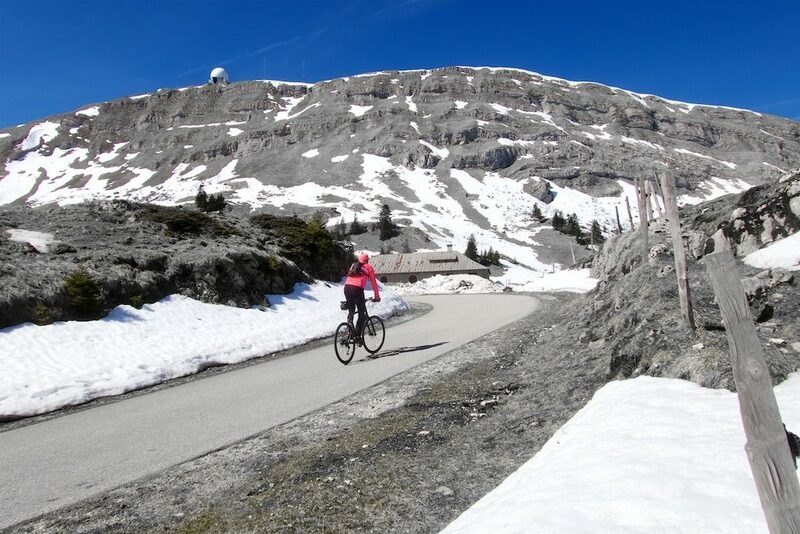 But skipping the turn-off, the road continues up for more than a kilometre to the Swisscom telecommunication tower at La Barillette – the high point of the paved road (1522m). There are definitely mountain-bike options from here – I’ve previously made it to the nearby Col de Porte for example. But road bikers will enjoy the view of Lake Geneva and the distant Alps before descending. I am a notoriously cautious descender, but I do enjoy the knowledge that much of this descent is one-way – thus I “probably” didn’t need to worry about cars. This was a simple but enjoyable up-down ride where I enjoyed the spring weather. Car-free, challenging, full of views at the top. 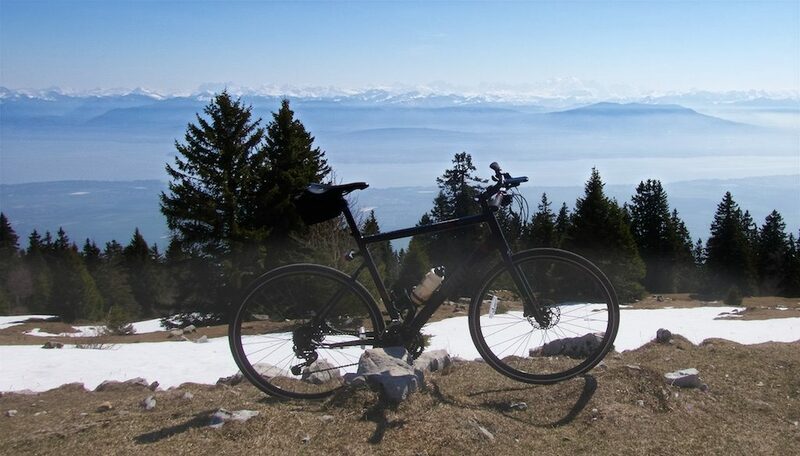 A superb Jura mountain climb. 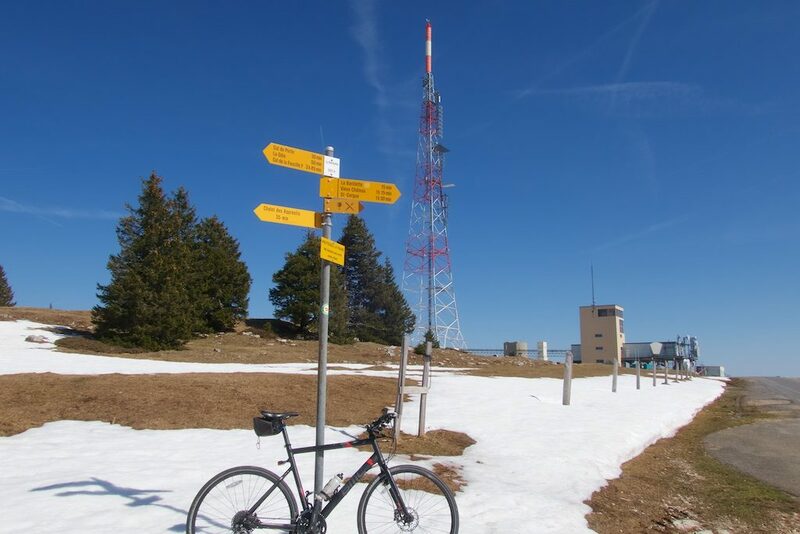 Great blog again, a tough challenge in the Jura without lots of cars – ideal. I’ve tried the first few km a couple of times but always get lost/think I might be lost at the various branches in the road. Any tips? Thanks for the tips. Finally got up yesterday from La Rippe village. Went through the village, road bends right to go above the Monastery then 4km from starting there’s a sharp left turn to join the main route just before km3. Great signs after that and I saw only 1 car on the way up. It was pouring by then and the descent was scary and cold, lots of leaves and twigs on the road and a huge fox which I at first thought was a wolf. well done, tough weather yesterday, brave. Thanks a lot for the description (and the excellent website). 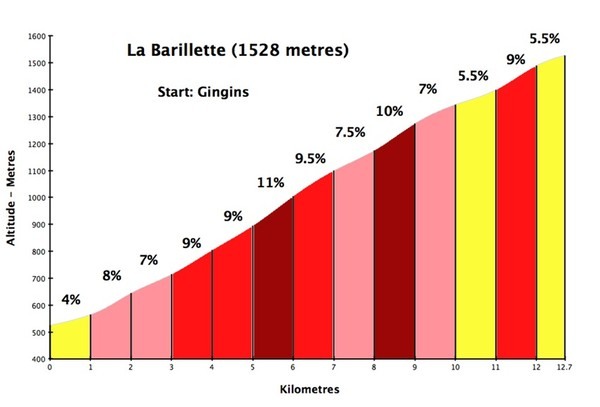 I went up to la Barillette from Geneva and can only confirm – it is so quiet, very good road and so convenient to cycle on one way streets some of the time.